Patrons of domestic flights from Accra to Takoradi and vice versa, now have an alternative service. It follows the commencement of flights by Passion Air. The route has until now been served by only Africa World Airlines. 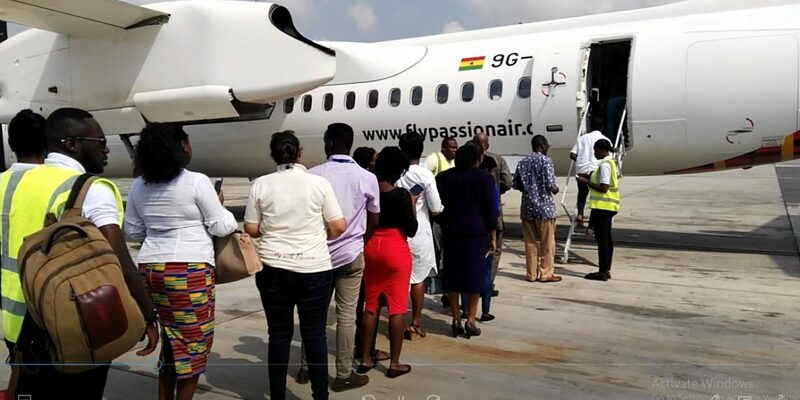 The coming on-board of Passion Air forms part of the airline’s plan to meet the needs of as many people as possible, who use domestic flights. The move is also expected to increase competition which could reflect in prices. Africa World Airlines became the only airline to serve the route following the suspension of activities of Starbow Airlines in November 2017. For the people of Takoradi, it will also boost the operations of mining and oil & gas companies by facilitating the movement of personnel and timely transfer of some raw materials. 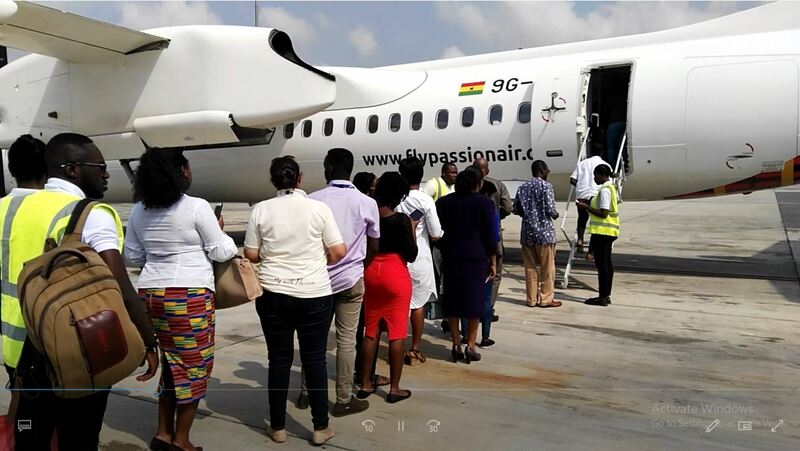 Deputy Minister of Aviation, Kwabena Okyere Darko who joined the trip, explained that the addition of Passion Air is in line with the government’s plan to expand the aviation sector. Commenting on what plans there are for absorbing more aircrafts, he indicated the completion of a new international airport at Takoradi. “The government is also planning to set up a new international airport because we believe that the Western region contributes over 60 percent of national GDP and a lot of businesses will like to engage in some transactions here. So we need to give them the safest means to transfer themselves wherever they are in the world to the capital,” he said. Passion Air will fly twice weekly except Sundays.